Are you in the US? And you need a smartwatch to buy. Asus ZenWatch 2 is currently on sale for $130 in US market. If you love Asus products, then you need to get this smartwatch. It is designed in full metal band. 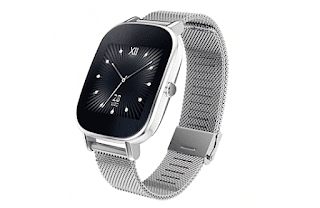 Asus ZenWatch 2 is currently on Amazon --the 1.45 inch model-- at that price tag $130. Asus official price tag for this smartwatch is $219. You will only get a discount when you purchase the smartwatch from Amazon online store. i.e; you will be saving about $70 when you purchase it from Amazon online store. If you are in US and you'd like to purchase one for your self, kindly head over to Amazon's website.